Film Crit Hulk Smash: HULK PLAY WITH THE INDOOR KIDS! | Birth.Movies.Death. Film Crit Hulk Smash: HULK PLAY WITH THE INDOOR KIDS! YOU EVER WANT TO HEAR WHAT PUNY, NASALLY BANNER SOUND LIKE? ESPECIALLY WHEN HE ALL FLUSTERED AND NERVOUS? CHECK OUT HULK'S BANNER-MODE APPEAR ON A PODCAST WITH THE WONDERFUL INDOOR KIDS! 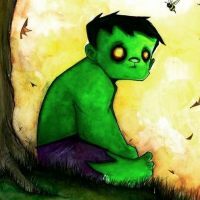 IT REALLY ONE OF HULK'S FAVORITE PODCASTS AND IT COMES AT GAMES FROM A PLACE OF LOVE, HUMOR, AND DEEP INSIGHT. IN THE EPISODE, BANNER TALKS WITH HOSTS KUMAIL NANJIANI AND EMILY V. GORDON ABOUT THE HULK'S VIDEO GAME ARTICLES, THE MEDIUM AS ART, AND HOW TO MAKE VIDEO GAMES BETTER! AND LIKE THEIR USUAL STUFF, IT ALL COMES FROM A PLACE OF LOVE AND WANTING GAMES TO BE BETTER! CHECK IT OUT THE PODCAST HERE ON THE NERDIST WEBSITE, OR THE INDOOR KIDS ON ITUNES. AND FOLLOW HULK, KUMAIL AND EMILY ON TWITTER FOR MORE GLORIOUS FUN. ENJOY PLAYING WITH THE INDOOR KIDS YOU MAGNIFICENT BADASSES!